Fire photons to determine the spectrum of a gas. Observe how an absorbed photon changes the orbit of an electron and how a photon is emitted from an excited electron. 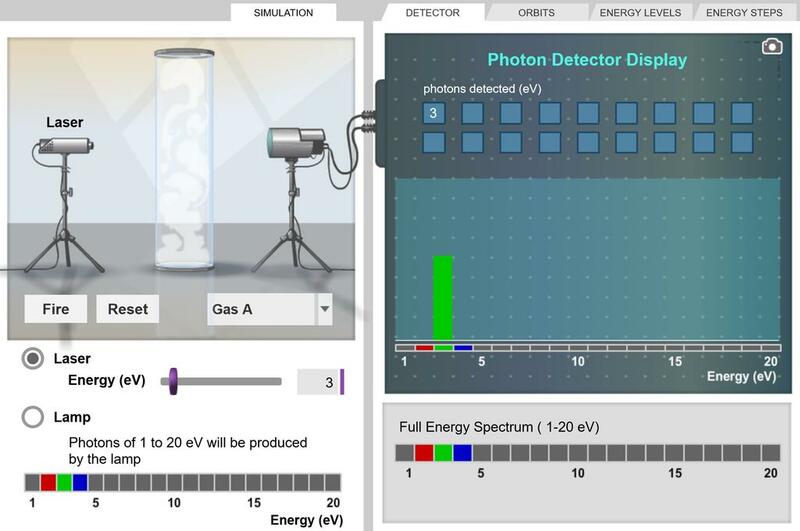 Calculate the energies of absorbed and emitted photons based on energy level diagrams. The light energy produced by the laser can be modulated, and a lamp can be used to view the entire absorption spectrum at once. Excellent demonstration of the energies associated with the absorption and emission of photons. It is also a good review of energy levels.